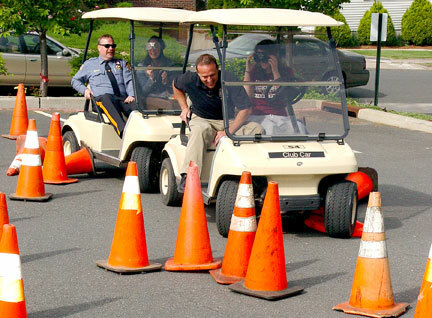 On May 9th, 11th and 12th Graders from the Jr.-Sr. High School experienced "driving under the influence" with special goggles that simulate the effects of .17 to .20 blood alcohol level (the equivalent of 10 drinks an hour). 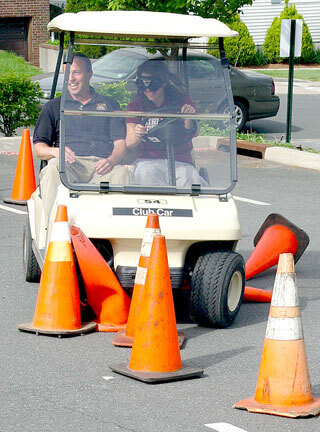 Students drove golf carts through a pylon coned course first as an orientation drive through, then again with special goggles that simulated the visual impairment caused by alcohol or other drugs. 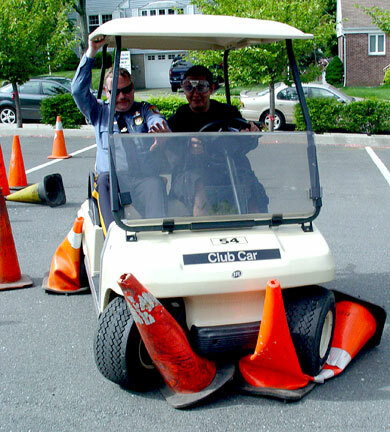 There were two types of "Fatal Vision" goggles used -- daytime and nighttime. Viewing through the goggle is rather clear, but confusing to the mind. The wearer experienced a loss of equilibrium which is one of the effects of intoxication. 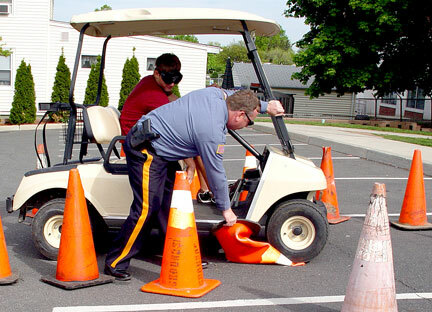 Both the driver wearing the goggles, and those students who observed this unique experience, saw the dramatic effects of impaired driving. 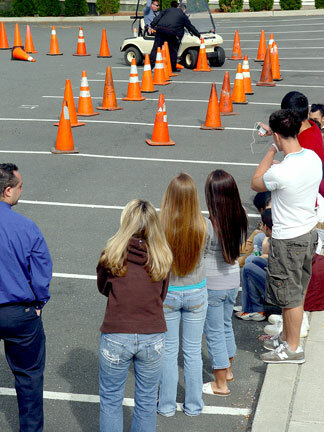 According to Chief Michael Colaneri, the purpose of the exercise is to create DWI awareness with the 12th Graders before their prom and graduation, and to the 11th Graders who will soon be driving. 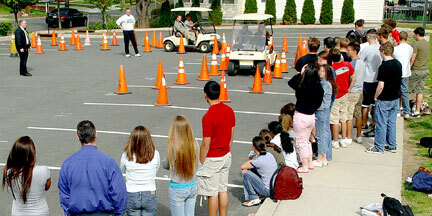 "Accidents are the leading cause of death for teenagers," stated Lt. Shawn Mullins. 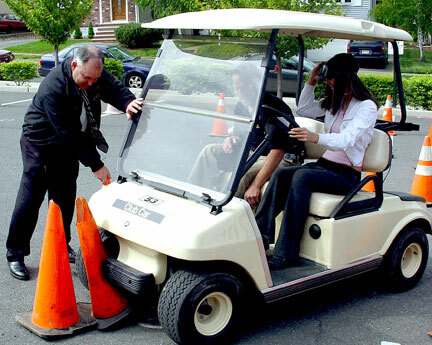 The golf carts were supplied by Bergen County and transported by Lenox Towing. 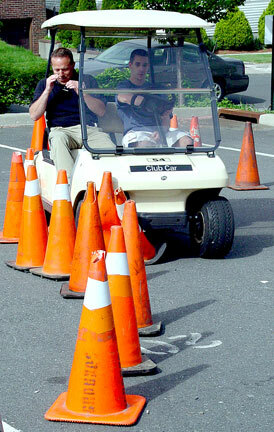 This was the 6th year the HHPD has conducted the "Fatal Vision" exercise.